Prior to the arrival of the Spanish in the 16th century, the Inca ruled northern Chile while the indigenous Mapuche inhabited central and southern Chile. 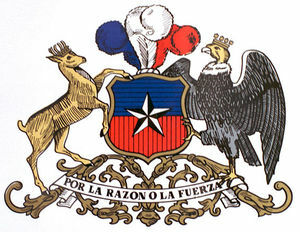 Although Chile declared its independence in 1810, decisive victory over the Spanish was not achieved until 1818. In the War of the Pacific (1879-83), Chile defeated Peru and Bolivia and won its present northern regions. It was not until the 1880s that the Mapuche Indians were completely subjugated. After a series of elected governments, the three-year-old Marxist government of Salvador ALLENDE was overthrown in 1973 by a military coup led by Augusto PINOCHET, who ruled until a freely elected president was installed in 1990. Sound economic policies, maintained consistently since the 1980s, have contributed to steady growth, reduced poverty rates by over half, and have helped secure the country’s commitment to democratic and representative government. Chile has increasingly assumed regional and international leadership roles befitting its status as a stable, democratic nation.